This depends on the amount of hair loss you have, the size of the procedure you have and your future hair loss. For example a person who has no hair on the top of their head but good donor hair on the sides and back may need two maximum graft strip procedures. One to cover the front and one for the back. Another patient who only has hair loss in the front my only need one procedure. If that patient never loses the hair in their crown, They my never need another. If either of those patients do f.u.e procedures, they may need more because the yield per day is less. In the free consultation, Dr. Behnam will explain what is needed. Yes, frequent tight pony tails can cause traction alopecia which is inflammation under the skin. 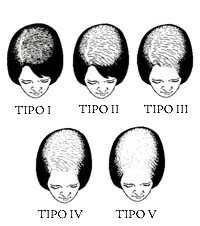 Areas with this inflammation will not grow hair. On average, most patients go back to work after four days. Some patients who work in an office environment may go back to work the next day after the procedure. Patients who have more physical requirements at work will need to take more time off. Also, the time off can be contingent on how much non transplanted hair the patient has and how private a patient is. There may be some redness in the transplanted area, usually looking like a slight sunburn or irritation. Seven days may be required for those who do not want to return to work while having redness. Redness varies from patient to patient and in some cases redness lasts longer than 7 days. Down time will also be discussed in the free consultation. After the hair transplant procedure, the area where the grafts were implanted should not sweat for seven days. Patients who are runners should not run for seven days. Patients who work out with weights should not lift heavy for two weeks after the procedure. Patients do not have to shave their entire head but F.U.E. patients will have to shave the donor area which sometimes can be a large portion of the back of the scalp. For strip patients, only the portion of the donor area that will be removed will be shaved. Currently we offer interest free financing. The details will be explained in the free consultation. 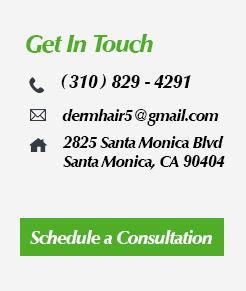 Yes, hair line lowering for men and women is a procedure that Dr. Behnam does often.